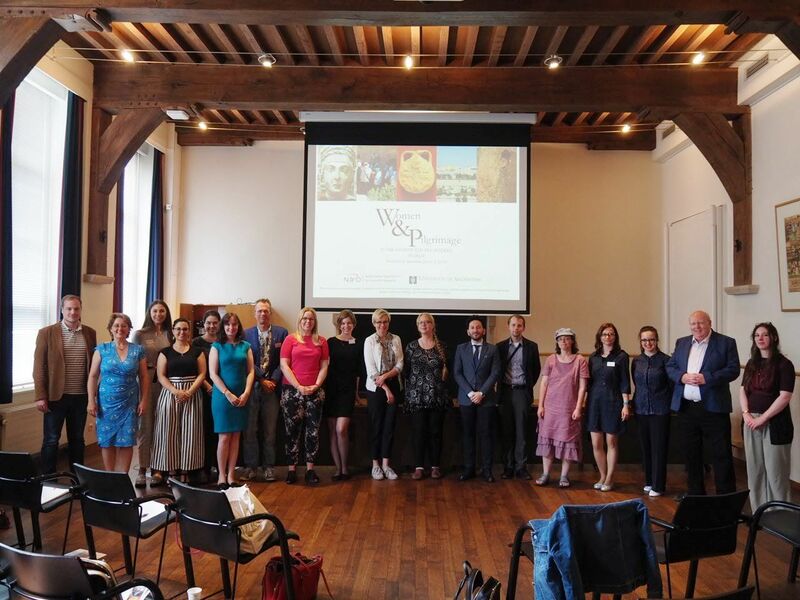 The aim of the international Passages from Antiquity to the Middle Ages series of conferences is to bring together scholars of various fields of study to examine and discuss various phenomena during the longue durée from Antiquity to the Middle Ages. Passages VII – Neighbours or Strangers? Conflict, Negotiation, and Collaboration in Multicultural Communities, University of Tampere, Finland, August 23-25 2018. Professor Bryan Ward-Perkins will be delivering a keynote lecture entitled ‘Unity and conflict in the late-antique cult of the saints’. During the last two months, our epigraphy expert, Paweł Nowakowski, visited Izmir and Amsterdam where he gave two talks on the epigraphic aspects of the cult of saints in the Eastern Mediterranean. Ampullae distributed to pilgrims visiting the church of John the Evangelist at Ephesos, and a reliquary, now exhibited at the Ephesos Archaeological Museum in Selçuk. Paweł was invited to Izmir to talk about pilgrims’ ampullae, reliquaries, and the use of holy oil, at the international symposium Unguentarium. 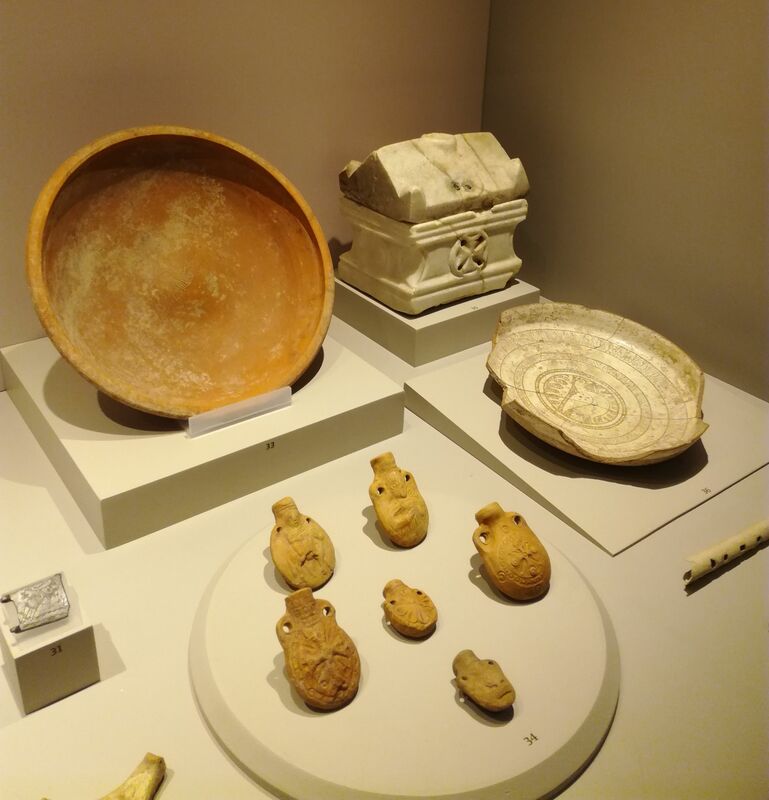 A terracotta vessel form and other related vessels in the Hellenistic, Roman and early Byzantine Mediterranean, May 17-18, 2018, Izmir, Turkey (= Colloquia Anatolica et Aegaea, Congressus internationales Smyrnenses X). After the conference, together with Ergün Laflı, Paweł spent his time on fieldwork on late antique and Byzantine inscriptions in the Archaeological Museum of Izmir, and, with Şaheser Doymaz, in the Ephesos Archaeological Museum in Selçuk housing the finds from the famous Ephesian church of John the Evangelist. Paweł also conducted a photographic survey of pilgrims’ and donors’ graffiti and inscriptions at the site of the church of John. In Amsterdam Paweł gave the paper ‘Facing death abroad. Epitaphs from pilgrim shrines as a potential source for the study of women’s pilgrimage in late antique Anatolia’ at the conference Women and Pilgrimage in the Ancient and Pre-Modern World, June 8-9, 2018, organised by Marlena Whiting and Emilia Salerno as a part of the NWO-funded project Gendering Sacred Space: Female Networks, Patronage, and Ritual Experience in Early Christian Pilgrimage. The paper dealt with the most recent finds of women’s epitaphs from the immediate areas of the sanctuary of Michael the Archangel in Germia/Gümüşkonak, and the sanctuary of St Theodore at Euchaita/Beyözü (2013–2018), and presented methodological observations on the problem if the epigraphic evidence from cemeteries at pilgrim shrines can be effectively employed for the study of women’s pilgrimage. Both events created wonderful possibilities for networking and disseminating the results of our research, and we would like to thank the organizers for all their efforts, dedication, and friendly atmosphere. The paper will be delivered at the late antique seminar at the University of Warsaw on Thursday, 6 June, 4.45 p.m., in the Library of Papyrology and Roman Law (Faculty of Law building, Collegium Iuridicum I) on the main campus.